Paris 8 – Métro George V. On the 4th floor of a freestone building with lift, we propose you a very beautiful 160 sq.m. apartment. It features: entrance gallery, double living room with triple glazing, dining room, large equipped and fitted kitchen, 4 bedrooms and shower room. Wooden floor and mouldings. Excellent plan and very sunny. Individual gas heating and water. A cellar is included. 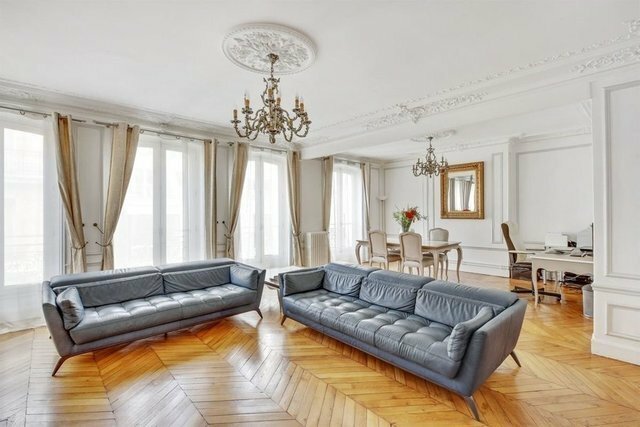 Paris Ouest Sotheby's International Realty.